Please help support the existence of local family farms by donating to our go-fund me! I grew up on an organic dairy (the first in the state of Maine). Spent mornings, afternoons after school and all my summers through college working alongside both my parents doing whatever needed to be done. 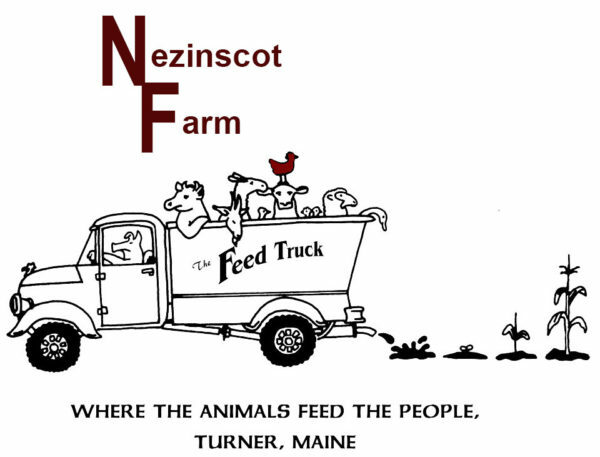 Feeding animals, milking goats, assisting the farm store, working in the gardens and fields. It wasn’t until I left home, and had the time to look back at what was offered me, to realize how good I had it; especially with regards to food. There was always conversation around the table on what more can be done and offered for products at the farm store, what more could be done to get community involved and supporting our local food business, which always seemed a constant struggle. One evening at the dinner table my Dad shared a conversation that he had with a friend/mentor who owned and operated a successful family business that things started to change a bit. The advice was that you had to go two bridges out for marketing your products. I wasn’t quite sure what that meant, but my mother jumped aboard. She stopped advertising in local papers, put surveys out to see how far out her customer base was coming from, and involved herself in projects that encompassed those that lived two bridges away. Two bridges away literally meant that. Crossing two bridges. For us, one bridge was in our hometown of Turner, Maine and the second in the Lewiston/Auburn area. A shift changed that year in sales. I now live in Cambridge and, along with my friends, make it a point to shop at the local farmers market every week as our first go-to for fresh food. The idea of supporting farmers is first and foremost on our agenda. Knowing that we are supporting a food system that is much more sustainable than one that has food being preserved, trucked and packaged from over 100 miles away (not sure you can even call it organic at that point). Perhaps living in the city has made me realize the vulnerability that exists around food. Not having the ability to walk out my front door and having access to fresh food from my own garden, and that, for me the farmers market is a reminder of my roots and what has been ingrained in my brain for over 20 years. As the old saying goes, “You can’t appreciate what you have until it is no longer available to you”. Small family organic and conventional dairy farms are currently in a crisis situation. A crisis, where, they too may not be available to us. Once they are gone, there will be no return. Our rural landscape as it exists in many towns will change drastically. The views of pristine pastures, grazing cows and open space that so many migrated to for peace of mind will forever be changed. I believe that there is no better time than now to look around our current living space, whether in rural areas or in the surrounding cities and take the time out of our busy schedule to slow down and find out where our closest farmer is. They may not all have a farm store where they offer products for direct sale to customers like my families farm, but many of them may produce wholesale products for companies like (Whole Foods, Hannafords, Stonyfield, Organic Valley, etc…) that you can seek out when you are at the farmers market or in the chain stores. It is a good thing to encourage open space, a better thing to encourage that open space to be farmed and producing food for the people in its surrounding corridor. I end with a question to all of you that my mother would say to us every time we left home; even when just leaving for an hour. “What If”? What if all the farmers within a twenty-mile radius of where we live disappeared? What impact would that have on our lives? Where would our food come from? It’s time for all of us to take the time to answer that question. From there, only you can decide how important food security is for yourself and the next generation. You will also probably have to cross at least two bridges to find the answer.